Deepika Padukone marked her attendance for first day at work for Chhapaak movie with her first look from the film. Directed by Meghna Gulzar, Chaapaak is based on the life and experiences of acid attack survivor Laxmi Agarwal, who is now a TV show host and a campaigner with Stop Acid Attacks. In the poster, Deepika features as Malti - the name of her character in the film. Deepika as Malti will indeed put a smile on your face and will be remembered forever. Here's how she introduced her first look from Chhapaak: "A character that will stay with me forever... Malti. Shoot begins today! Chhapaak!" Meanwhile, Meghna Gulzar also described the character of Malti in few words: "She is courage. She is hope. She is Deepika Padukone as Malti in Chhapaak. Shoot begins today." Well, we have no words to say. Why don't you take a look yourself? Monday marks Chhapaak's first day of shoot. Deepika Padukone flew in to the National Capital on Holi to prep for her first day at work. Ahead of Holi, Deepika and Meghna Gulzar had shared pictures from the film's script reading session where we also spotted her co-star Vikrant Massey. He plays the role of Malti's partner in Chhapaak. 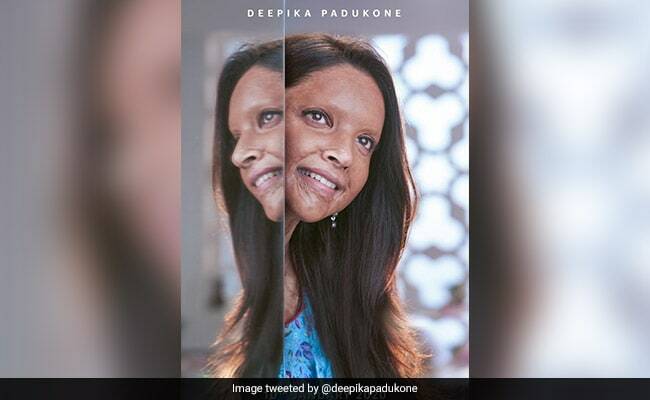 Earlier this year, Deepika Padukone briefly told us what Chhapaak is all about in a tweet and wrote: "A story of trauma and triumph. And the unquashable human spirit." Chhapaak will mark Deepika's first film after her wedding to Ranveer Singh. She is also co-producing the movie along with Fox Star Studios. Chhapaak is scheduled to hit screens on January 10 next year.